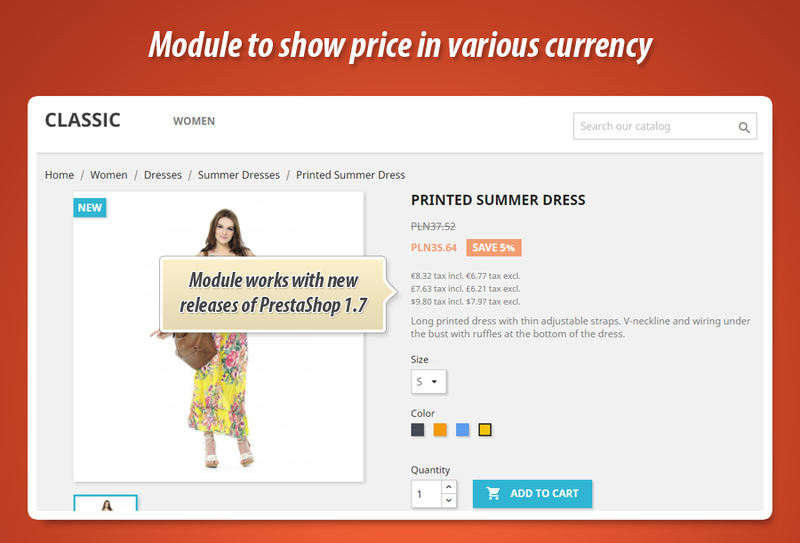 As you already know this is PrestaShop module that allows to show prices in many currencies at the same time. 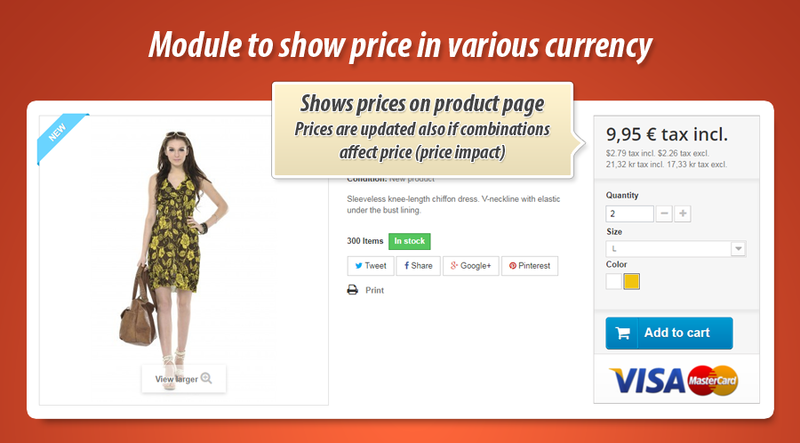 Module displays it there, where your shop displays product for example: list of products like category pages, search results, manufacturers, suppliers etc. It shows it also on product page. 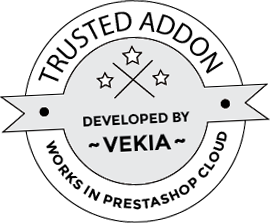 Below you can find detailed informations about module features. 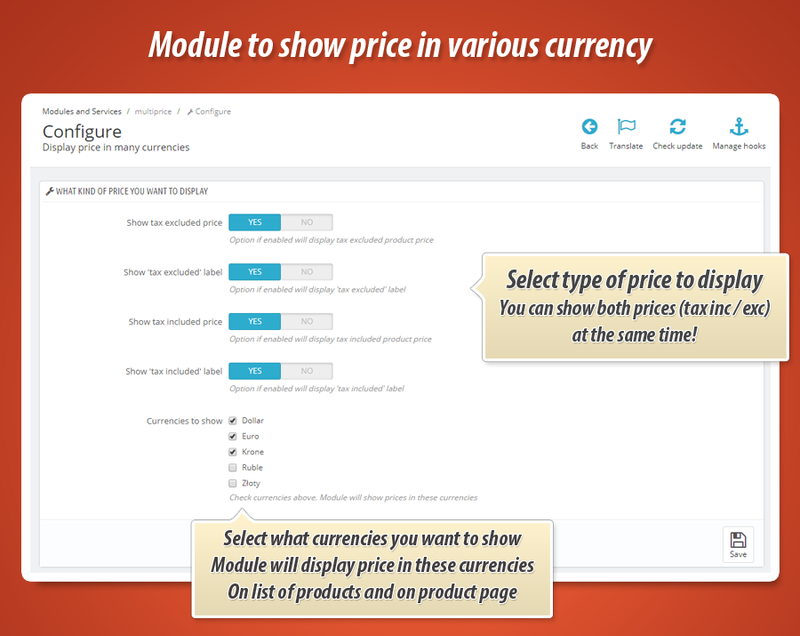 On module configuration page you can specify what kind of currencies addon will display. 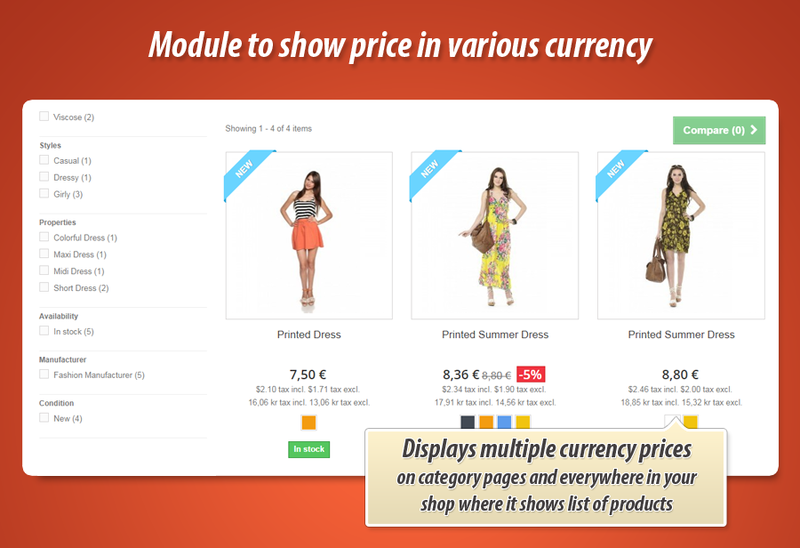 Shop gets a list of currencies from your shop - based on this list you can select / unselect currencies. 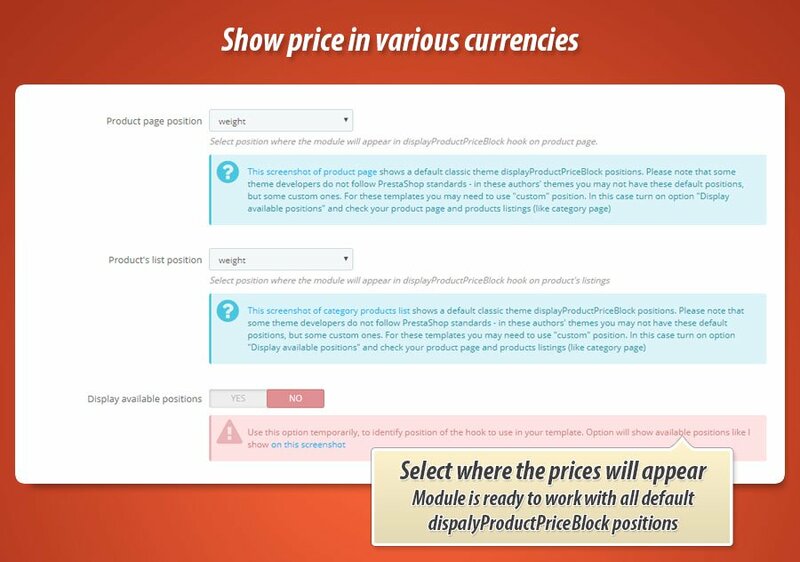 Addon will display price in selected currencies, one by one - as a list of prices. In addition to previously mentioned features - module configuration page contains a tool where you can decide where module will appear on product page and where it will appear on list of products (like category view etc.). Available positions are determined by hook named displayProductPriceBlock.